2K have revealed NBA 2K Playground 2’s release date. Developed by Saber Interactive, the game will be released this October! NBA 2K Playgrounds 2 (the renamed sequel to NBA Playgrounds) will feature all of the elements from the past game as well as new gameplay mechanics. For those looking to play with their friends, there are four-player online matches, co-op matches (against AI), three-point contests, and custom matches. There is even a new single player Season mode this time around. It’ll also offer over 300 players at launch. This list includes Michael Jordan, Kobe Bryant, Kareem Abdul-Jabbar, Jayon Tatum, Lebron James, Karl-Anthony Towns and more. 2K is promising nearly 200 addition players after launch via updates (no word whether they’ll be offered as paid DLC or not). NBA 2K Playgrounds 2 will be available on October 16th for the Xbox One, PS4, Switch and PC for $29.99. 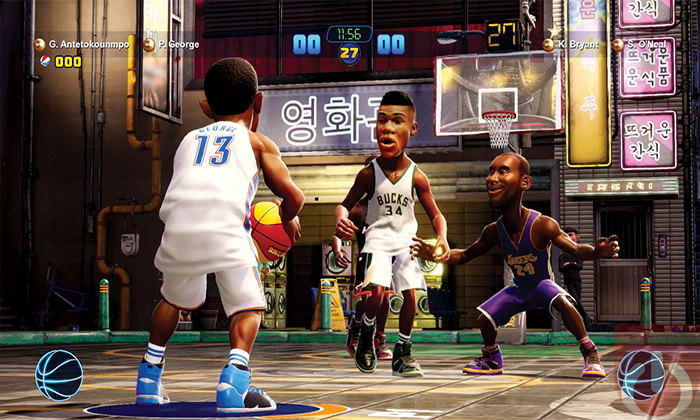 Be sure to check our review of the first NBA Playgrounds (below)! 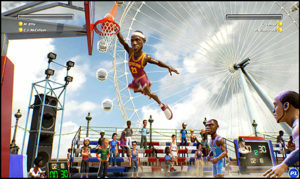 NBA Playgrounds can be fun at times, especially if you play with friends. That said, the inconstant gameplay hurts the experience.